This offseason the Tigers invested $132 million in Justin Upton to solidify their offense and replace Yoenis Cespedes. Upton wasn’t necessarily the best player on the market, but his year to year consistency and age made him a good target for the Tigers. He was useful in a corner outfielder spot and was an above average hitter to slot in around Cabrera and the Martinezes. As you know, his tenure in Detroit got off to a dreadful start. 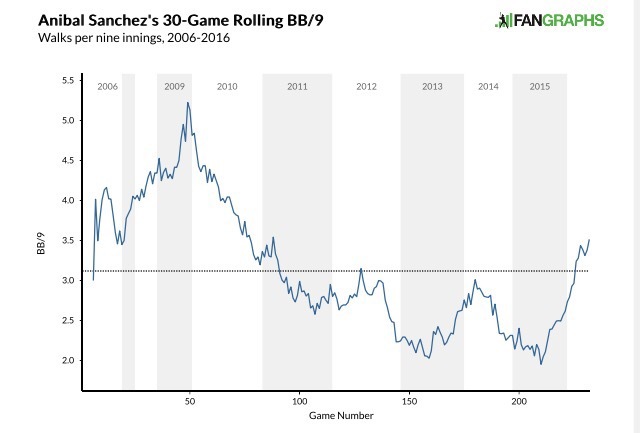 Through his first 193 PA (through May 30), he hit .215/.259/.309 (48 wRC+) with a 36.8 K%. The only thing that would have worried Tigers fans more would have been if he became a pitcher and immediately tore his UCL. It was a bad run, but it also wasn’t the first time Upton had done something like this. 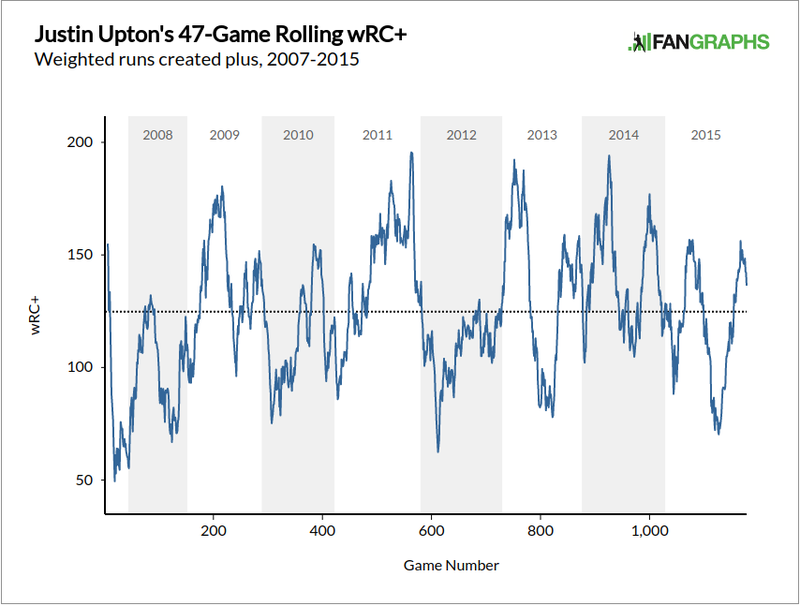 Here is Upton’s career through 2015 in 47-game rolling average fashion. He didn’t hit 48 wRC+ too often, but he was well below average plenty of times and always bounced back. Upton has always been known as a streaky hitter, but of course Tigers fans were getting their first day to day look at him and panicked (I know, right?) that they had signed a damaged player. If a player slumps in April and May, it often looks much worse than if they do it in July because we’re used to looking at starts per season not stats per 162-game time period. 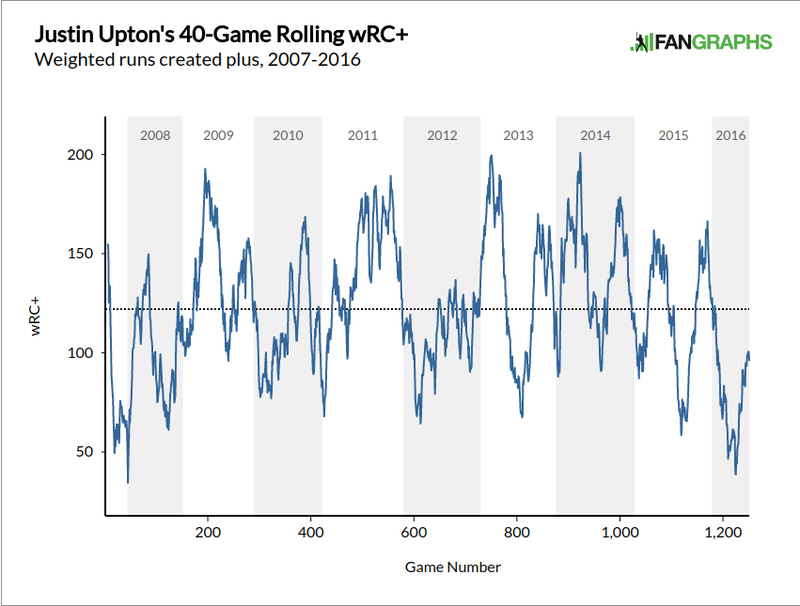 Over the last four weeks (since May 31), Upton has really turned it around. He’s not setting the world on fire, but he’s essentially found his 2012-2015 form. His strikeout and walk rate, along with his power, have returned to Upton-y levels and his production has followed. His contact rate has rebounded and for all intents and purposes, you couldn’t distinguish last-four-weeks Upton from last four years Upton. 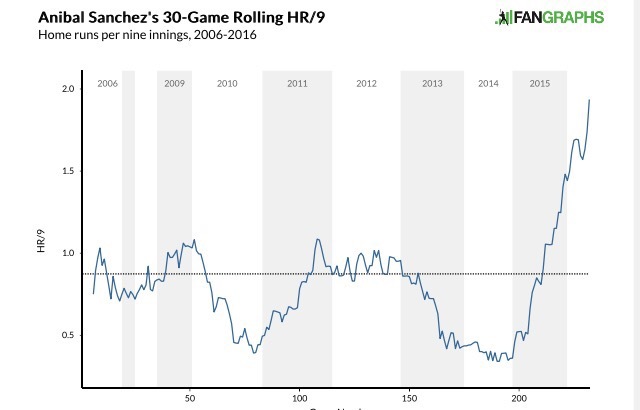 To wit, his 40 game rolling average with 2016 included. Upton is coming out of it and producing the way the Tigers expected when they decided to make him part of the team long term. The streakiness is a feature of who Upton is. The lows come with highs and the overall product is quite good. It’s unfortunate that Upton had one of his craters at the beginning of his Tigers career, but he looks to have settled in over the last month and is hitting much better. 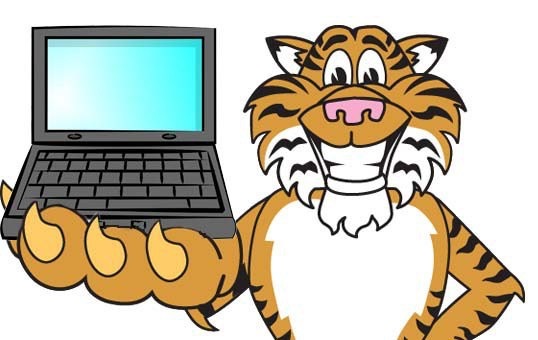 The topic of conversation around the proverbial water cooler this week has been the Tigers fledgling bullpen. After all, over the last seven days the relief corps has allowed 26 runs in 24 innings while striking out just 19 of 125 batters. They have allowed more runs during the last week than they have recorded strikeouts. Not good! Over the entire season, they’ve collected a 116 ERA-. That’s one of the worst marks in the league and it’s backed up by an RE24 of about -25 and a DRA of around 4.50. Whether you like the basic ERA (you shouldn’t) or the more advanced RE24 or DRA, the Tigers bullpen is allowing too many runs. However, the fielding independent numbers paint a less bleak image. They have a 90 FIP- this year, which ranks in the top half of bullpen units. Their walk rate is reasonable and they don’t allow many dingers. Their strikeout rate is lower than you would like, but it’s not so low as to wash away their above average BB% and HR/9. Of course, FIP assumes that the outcomes on balls in play is mostly random and it’s easy to suggest the Tigers pen is giving up hard contact. They have an MLB worst .333 BABIP. Using the BIS quality of contact stats at FanGraphs, we can see that the Tigers have a very high rate of medium hit balls. Their soft hit rate allowed is low, but their hard it rate also doesn’t crack the top half of the league. Maybe it’s not a great profile, but it’s not like they’re getting toasted. They also have an MLB high 51.7 GB%, further indicating that they aren’t giving up tons and tons of gap shots. Add this to a horrible LOB% and you basically have the issue. They have given up hits and they’ve done so in bunches. A good bit of that is luck. I know that’s not an explanation that makes people happy, but giving up single, singles, double, ground ball is the same as single, ground ball, single double even though the results are different. However, there is the matter of strikeouts. Strikeouts stop the bleeding and prevent runners from advancing, and the Tigers don’t get enough. They need more high K arms. While Justin Wilson, K-Rod, and Shane Greene have done nice work in the pen, the rest of the crew has been middling or worse. Bruce Rondon looked great on Sunday, but it was his first outing of the year. Bullpens are tricky to analyze because you get such a limited look at each reliever. Mark Lowe and his missing velocity are obviously a problem, but it’s hard to say it Wilson, Hardy, Ryan, Farmer, etc are bad or have just had some bad outings. No one expected a Yankees-Royals style bullpen, but the group looks better on paper than it has in a few years. It’s easy to say the bullpen is another unmitigated disaster and the club has to go back to the drawing board, but I think that’s a short sighted approach. Here’s what I would do. K-Rod, Wilson (J), and Greene are obviously not going anywhere for the moment. They need four other arms out there. I think Sanchez and Rondon make sense for different reasons. Sanchez because he needs to stay there until he’s ready to come back to the rotation (no home runs in 8 innings!) and Rondon because he’s a strikeout guy who looked great over his last several minor league outings. After that, they need a lefty and a righty. Alex Wilson is an option, but Joe Jimenez is probably ready to get his feet wet. And for the lefty – Matt Boyd. He’ll need a week to circle back to the active roster but the while he’s stubbed his toe a little in the rotation this year, he still has shown the stuff to get big league hitters out. If he’s put in a spot where he doesn’t have to face the best power hitting righties, he can easy back up Wilson as LHP2. Hopefully Lowe can find his way to the DL so the Tigers don’t lose him and any chance he has at earning that $13M deal. This still isn’t the best pen in the league, and I’m only selling minor tweaks, but the club needs more guys who can get strikeouts and calling on Rondon, Jimenez, and Boyd should beef that up. Having Boyd and Sanchez around also gives the team better long options so they can stop carrying eight relievers (which should be against the Geneva Convention) and actually play with a full bench. And furthermore, Ausmus should be willing to stretch his good relievers out to face six batters when the situation calls for it. If your middle relief makes you nervous, pitch your better options more. Sure, they might burn out for October, but you have to make it that far in the first place. The bullpen has allowed a bunch of runs recently but it’s not beyond repair. The Tigers are built to be in the mix for the AL Central and despite some really rough stretches this year they remain very much in that race. The team is going to win and lose based on the back end of the rotation, JD Martinez’ right elbow, and Jusim Upton’s bat. The bullpen isn’t going to carry them to the postseason but I also don’t think it will be the thing that keeps them from getting there.